Stylistically similar to the wonderful inaugural 2002 Isobel bottling, the Charles Heintz Vineyard once again offers a singularly unique expression of Californian Chardonnay. 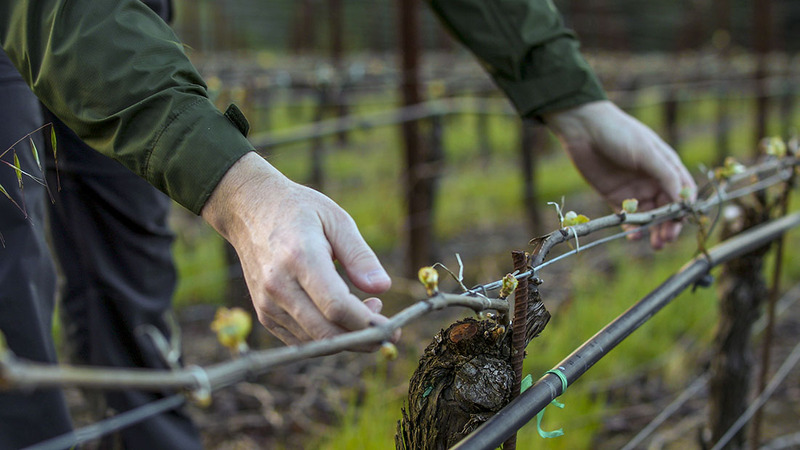 Unsettled weather at bloom reduced crop yields offering the potential for depth and concentration to accompany the typical Heintz pungent intensity and taut structure. The vines fully exploited the prolonged warm Indian summer conditions, steadily developing in flavor maturity without building sugar too quickly. Harvest took place late in the season under warm skies and very cold nights, which preserved elevated acidity levels. Long aging on the fermentation lees without stirring allowed the true vineyard character to be fully expressed. Additionally, qualities more vintage-specific in nature developed over time, notably the remarkable pungent oily texture reminiscent of a great Alsatian Vendage Tardive Riesling with its smoky, mineral intensity. I recommend opening a bottle on release to experience this rare and dramatic quality and then aging for 3 to 4 years to allow tertiary characters of hazelnut and meyer lemon to slowly develop. A pale gold color with a hint of haziness precedes strikingly intense aromas of fresh citrus, toasted almond, flint and cr?me brulee. The palate is immediately stony and mineral-dominated before pungent flavors of citrus oil, zesty grapefruit and smoke take over. The mid palate is layered with rich peaches and vanilla cream before satisfyingly vibrant acidity picks up and extends the wine's long structured, elegant finish. Serve no cooler than 55 degrees to allow the full range of flavors to develop.